On behalf of the President of the Republic, Juan Carlos Varela and the Vice President and Chancellor Isabel de San Malo de Alvarado, the Deputy Minister of Foreign Affairs in charge, Leon Kadoch, expressed the warm message of congratulation, welfare and prosperity to the State of Israel and its citizens, on the occasion of the 69th anniversary of independence. In his address, the Deputy Minister underlined the presence and historical significance, as well as the formula for the success of the Israeli people, the time highlighted the strengthened bilateral relations in cooperation in various sectors, such as the recent version of Cybertech 2017, subscription Of cultural, educational and technical-scientific cooperation agreements in matters of security, entrepreneurship, energy, agriculture, technology, education, better use and water disposal. 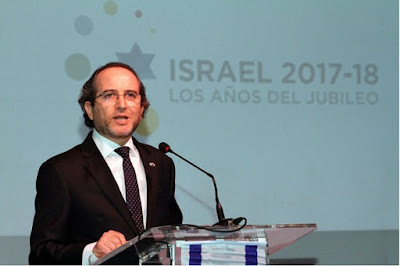 For his part, the Israeli Ambassador to Panama, Gil Artzyeli, expressed his government's willingness to continue strengthening and expanding relations with the Republic of Panama, sharing experiences and good practices in various areas of sustainable development. 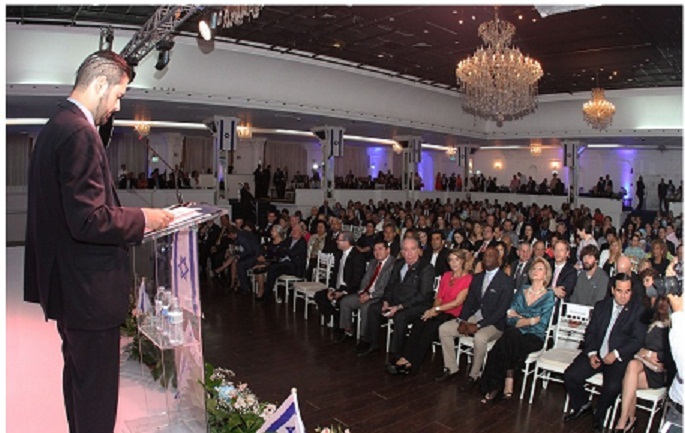 The State of Israel in its 69 years has achieved a technological and economic development that is positioned as one of the most advanced countries in the world, and has reached a population of 8.68 billion citizens, ten times more than in its founding in 1948. 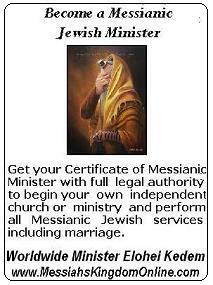 Messianic World News brings you the latest news about Israel, the world and prophecies from the point of view of Netzarim Messianic Jews, believers in the Prophet and Messiah Yeshua (Not God). We do not preach to the Jewish People. Worldwide Ministry Elohei Kedem, Inc © 2019. Picture Window theme. Powered by Blogger.